Dr. Robert Winchell has been appointed director of the Trauma Center and chief of the Division of Trauma, Burns, Critical and Acute Care at NewYork-Presbyterian/Weill Cornell Medical Center, effective July 27. He will serve on the faculty of Weill Cornell Medical College. Dr. Winchell joins NewYork-Presbyterian and Weill Cornell from Memorial Hermann – Texas Medical Center in Houston, where he was chief of trauma, as well as a visiting professor of surgery at the University of Texas Health Science Center. Prior to this role, he served as the chief of the Division of Trauma and Burn Surgery at the Maine Medical Center in Portland, Maine. While in Maine, Dr. Winchell was involved in the development of the Maine State Trauma System as a member of the state advisory board and as a chairman of the Maine State Committee on Trauma. He served in a similar role in Texas on the Trauma Systems Committee of the Governor’s Emergency Medical Service and Trauma Advisory Council. In addition to his clinical and policy work, Dr. Winchell is chairman of the Trauma Systems Evaluation and Planning Subcommittee of the American College of Surgeons Committee on Trauma, and a member of the Executive Committee of the American College of Surgeons Committee on Trauma. In that role, he oversees the Trauma Systems Consultation program of the College, and has led consultation teams in 17 states and regions. Dr. Winchell is involved with advocacy and trauma system development on a regional, national and international level, including as one of the founders of the recently created Global Alliance for the Care of the Injured at the World Health Organization. 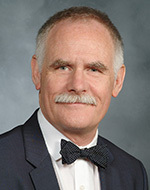 After studying engineering and receiving an undergraduate degree at the California Institute of Technology, Dr. Winchell earned his medical degree from Yale University. He is board certified in general surgery, with added qualifications in surgical critical care. Dr. Winchell is a fellow of the American College of Surgeons, as well as a member of the American Association for the Surgery of Trauma, the Association for Academic Surgery, the Southwest Surgical Congress, the Society of Critical Care Medicine and the New England Surgical Society. Dr. Winchell has authored more than 50 scientific papers and book chapters, and is a reviewer for the Journal of Trauma and Acute Care Surgery, the Archives of Surgery and the World Journal of Surgery. NewYork-Presbyterian/Weill Cornell Medical Center, located in New York City, is one of the leading academic medical centers in the world, comprising the teaching hospital NewYork-Presbyterian and Weill Cornell Medical College, the medical school of Cornell University. NewYork-Presbyterian/Weill Cornell provides state-of-the-art inpatient, ambulatory and preventive care in all areas of medicine, and is committed to excellence in patient care, education, research and community service. Weill Cornell physician-scientists have been responsible for many medical advances — including the development of the Pap test for cervical cancer; the synthesis of penicillin; the first successful embryo-biopsy pregnancy and birth in the U.S.; the first clinical trial for gene therapy for Parkinson’s disease; the first indication of bone marrow’s critical role in tumor growth; and, most recently, the world’s first successful use of deep brain stimulation to treat a minimally conscious brain-injured patient. NewYork-Presbyterian Hospital also comprises NewYork-Presbyterian/Columbia University Medical Center, NewYork-Presbyterian/Morgan Stanley Children’s Hospital, NewYork-Presbyterian/Westchester Division, NewYork-Presbyterian/The Allen Hospital, and NewYork-Presbyterian/Lower Manhattan Hospital. The hospital is also closely affiliated with NewYork-Presbyterian/Hudson Valley Hospital, NewYork-Presbyterian/Lawrence Hospital and NewYork-Presbyterian/Queens. NewYork-Presbyterian is the #1 hospital in the New York metropolitan area, according to U.S. News & World Report, and consistently named to the magazine’s Honor Roll of best hospitals in the nation. Weill Cornell Medical College is the first U.S. medical college to offer a medical degree overseas and maintains a strong global presence in Austria, Brazil, Haiti, Tanzania, Turkey and Qatar. For more information, visit www.nyp.org and weill.cornell.edu.